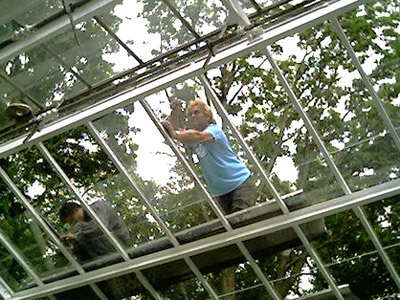 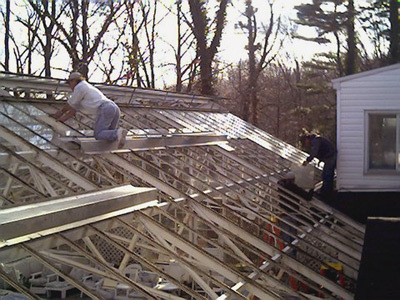 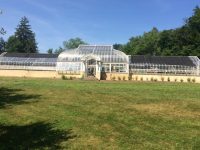 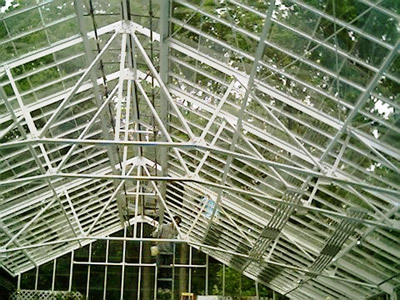 During April and May 2014, Glass Garden Builders restored an 85-year old antique Lord & Burnham greenhouse at a residence in Staten Island, New York. 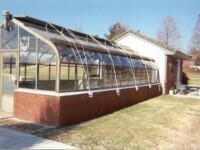 The greenhouse spans 45 feet by 65 feet and rises to a height of 32 feet over a swimming pool. 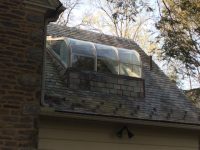 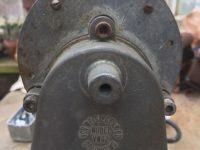 It had not been renovated since its construction during the Roaring ’20s, and suffered from extensive leaking, worn out caulking and slipped/broken glass. 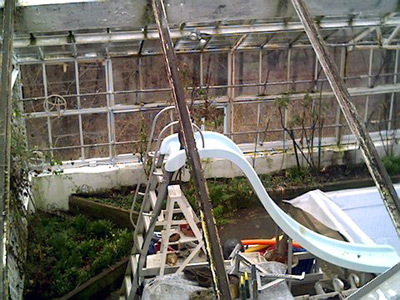 The GGB crew removed all the glass for reglazing, repainted the entire greenhouse, recaulked and added bar caps (which the original structure never had) to prevent the glass from shifting.